Location, location, location. 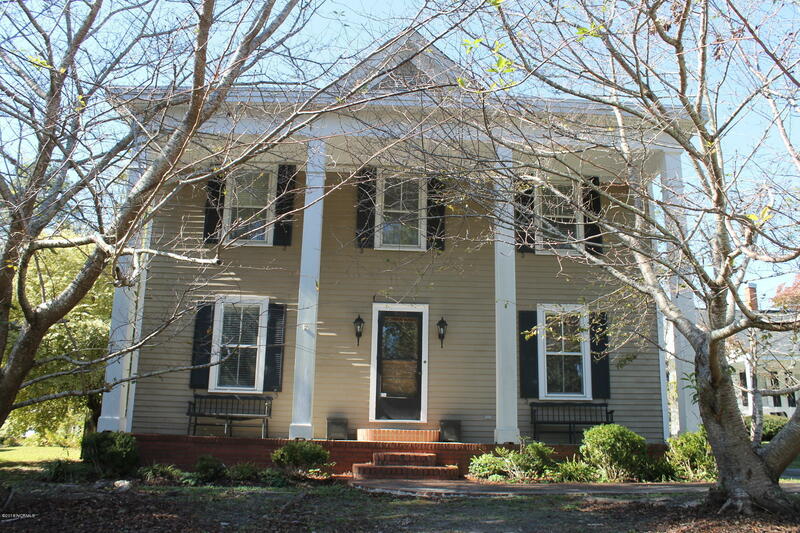 This colonial home is not only situated in the heart of friendly Whiteville, it is a property with lots of character dating back to 1900. It has plenty of present day amenities to live comfortably in today's world (updated kitchen, security system, gas logs, full baths, etc), but the beautiful hardwood flooring and wood staircase and built in bookcases, solid wood interior doors with antique door knobs, and a stately front entrance, can almost take you back in time. This home offers a large family kitchen with dining area, a cozy den, formal living room, office (which could be another bedroom), laundry room, 4 bedrooms and 3 full baths. The Master suite is very spacious with a walk in closet and master bath.